Brian Howard is president of Tompkins Financial Advisors, the wealth advisor subsidiary of Tompkins Financial Corporation. As president, his responsibilities include the strategic planning and oversight of trust and investment management, financial planning, retail brokerage and tax services. 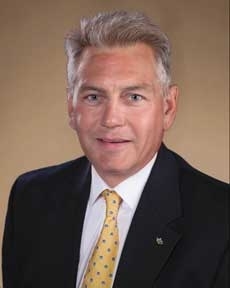 In addition, he serves on the leadership team of Tompkins Financial. Mr. Howard has more than 30 years of experience providing leadership in the financial service industry. Prior to joining Tompkins, he was senior vice president, market manager for Key Private Bank covering the Central New York region, where he was responsible for delivering growth to the bank’s full service wealth management for high net worth clients. At US Trust, Bank of America Private Wealth Management, he was the managing director, market executive for the Boston, MA market and senior vice president, market leader for the Central New York market. There he was responsible for revenue growth, strategic initiatives and building collaborative and top performing teams.